English is all around you. …As long as you know the best English radio stations for language learning. With a radio or online radio, the right English stations and some smart listening strategies, you can tune into English listening practice anytime, anywhere. English radio learning is one of the most effective tools to improve your listening skills, while also getting accustomed to the speed and tone of native English speakers. Not only will careful radio listening improve your English understanding, but it’ll even improve your speaking fluency and pronunciation. Follow this simple guide and learn some great tips to learn English with radio. Before we show you our favorite tips and the best English radio channels for language learning, we want to make this clear. It doesn’t matter how long you listen for, whether it’s just five minutes or one hour, but consistency is key. Regular exposure to English is important, which is why you should listen to the radio in English every day. To build this habit, start with the goal of listening for just one to five minutes every day. If the program is interesting, you might listen for longer, but the short time commitment will make it an easy task to complete. Over time as the habit develops, you can slowly increase your daily listening time. 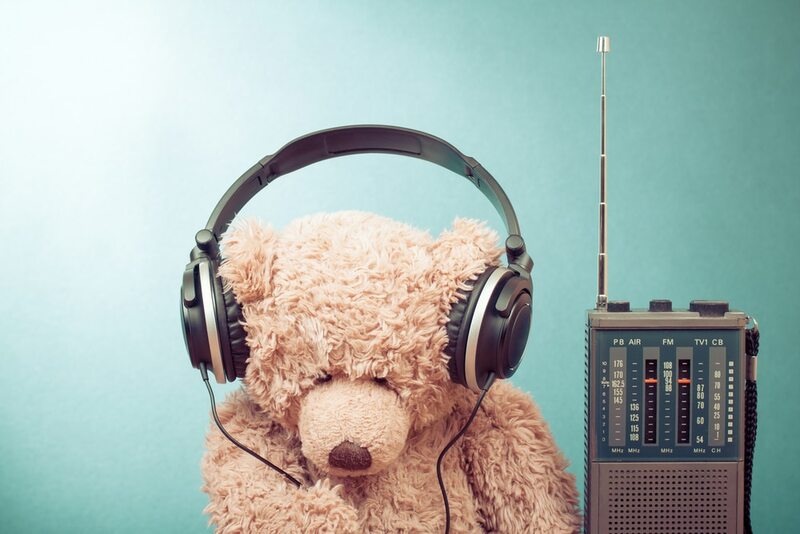 Everyone loves music, which many English radio stations will play, but if you really want to fine-tune (perfect) your English listening skills you should listen to a talk radio station. You can still enjoy your music, but you’ll learn English intonation and listening much better through the natural conversations on talk radio. Talk radio shows span many different topics, from sports to science, so choose something that interests you. To do this, use Google and type: radio + (the region you want) + (the type of show you’re looking for). For example, if you want an entertainment radio show from California, type “radio California entertainment” into your Google search bar. This way you’ll narrow down your search (make the list smaller) and find the best English radio station that matches your interests faster. Try out a few different online English radio stations until you find the ones that you like learning with best. Avoid any English radio stations with DJs who are really loud and try to make jokes all of the time. More often than not, these DJs don’t make much sense even to native English speakers, so you could become confused and frustrated. If you’re really intent on learning English with radio, you should find a radio station that reports the news, tells you the weather or gives advice (e.g. advice on relationships or health problems). That way, you’ll hear clear English plus information that’s relevant to your life. It’s also important to note that you shouldn’t listen to a radio station just because it has a lot of speaking. You need to find the perfect program that really keeps your attention. For example, if you’re into the Hollywood scene and love entertainment and gossip, check out Little Gold Men from Vanity Fair. You can find more entertainment talk shows in TuneIn’s Entertainment Radio section. The same goes if you’re interested in listening to sports broadcasts. Sports lovers should definitely try listening to radio stations and podcasts from the popular sports network ESPN. If you don’t feel ready to listen to a full radio program for native English speakers, you can check out some big news stations that have easier versions for non-native English speakers. 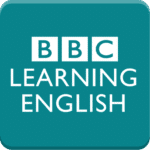 Two such stations are BBC Learning English and VOA (Voice of America) Learning English. 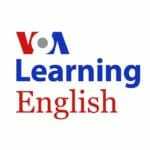 VOA Learning English is particularly good for learning English, as it allows you to choose the topics you’re interested in. It also has very up-to-date radio news broadcasts that are relevant to native English speakers’ cultures. 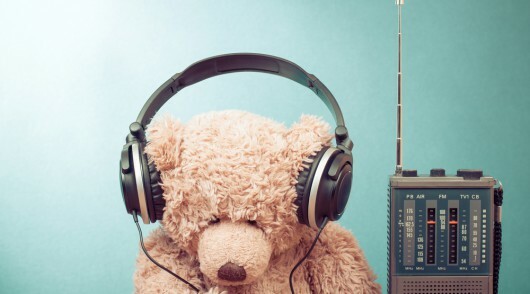 Depending on your level, a Google search for “radio news for kids” might also give you some new online English learning radio stations to explore. Listening to interviews will increase your understanding because they generally follow an easy question-and-answer pattern. Listening to interviews on the radio will help you to learn and practice intonation when asking questions, and also how people respond naturally to questions in English. To get you started, NPR (National Public Radio) has an “Interviews” radio show. One of NPR’s most popular interview shows is called “Fresh Air,” which has lots of interviews with big-name celebrities. The BBC also has an archive of interviews with important and interesting people. These fillers are useful to recognize and understand, and using them will make you sound more like a native English speaker. Do you keep hearing the same words over and over again while listening to the radio? 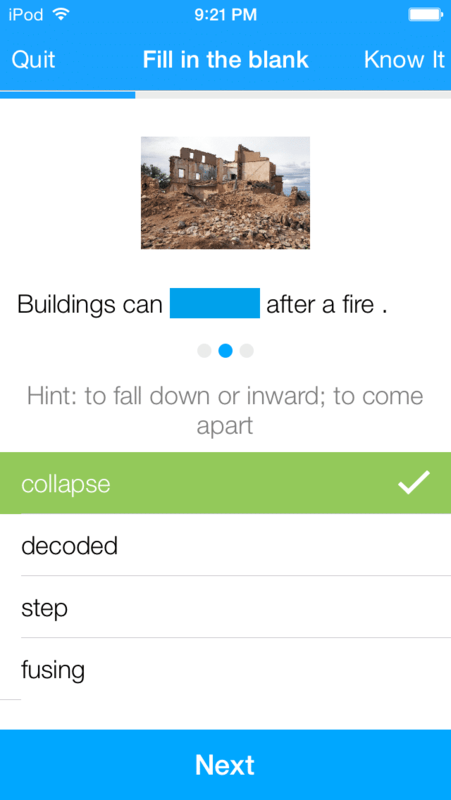 If yes, it means that these are high frequency words that relate to the topic, so they’re probably worth writing down. Write the words or phrases you hear, and also an example of the context so you can understand how to use them properly. When you listen to weather reports, for example, different reports can sound similar or repetitive. Weather reports will use the the same weather vocabulary and phrases most days, so use this to your advantage. When you listen to specific programs there’ll be less repetition, but there are still patterns with timing. Perhaps a radio program has an astrologer on air (speaking live) talking about the horoscopes of the day at 8:00 every morning. If you enjoy astrology and horoscopes, tune in at this time every day. One of the best ways to learn English with radio stations is to visit their websites for extra material. All online English radio stations have their own website, and you should use them. Quite often they’ll record popular shows or parts and list them as podcasts so you can go back and listen to a segment that you found interesting. Definitely go back and listen to a favorite show or segment again, as listening repetition is very important when learning English. Also, some radio stations will post transcripts (the written text of the show) for fans to go back and read. These will be very beneficial to you, too. All popular shows have little written explanations that inform you of what the show is going to be about, therefore you’ll be able to build your background knowledge first and get an idea of what you’re going to listen to. 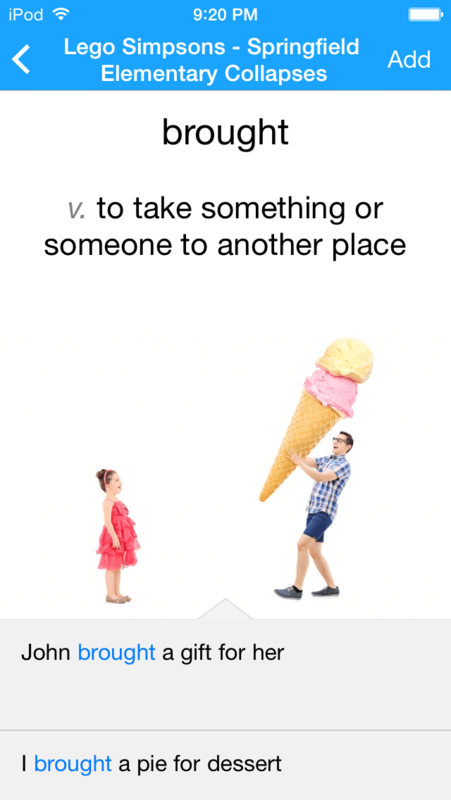 When you’re learning a language, you might want to use a dictionary to look up all the words you don’t understand. But this isn’t necessary—especially in the beginning. It’s much more important to understand the main point than to understand every single word. If you generally know what the radio show is talking about—great! If not, focus on understanding the topic of conversation, not every word that’s spoken. Over time your listening will improve and you’ll find yourself understanding more without having to even open your dictionary. However, if you find that you hear a word many times that you don’t know, then it’s probably a good idea to look it up in the dictionary. If a word is repeated so much, it’s probably important to the topic. Podcasts are fantastic because you can listen to them any time you want, like while going for a run, driving to work or walking to class. Listening to podcasts is convenient, there are endless topics to listen to and most are free! One of the best and easiest to understand news podcast stations is BBC News Minute. You’ll get a quick, clear rundown of the absolutely freshest news—it’s updated every half hour. If you want specific information, motivational speeches or talks on special topics, try listening to TED talks. All TED talks come in the form of MP3 and are easy to download. These talks include famous people such as Bill Gates and also everyday people like you and me. These talks are inspiring and often you’ll forget that you’re even listening to English because they’re so interesting. Are you ready to learn English, radio-style? Learning anything can be a bore, which is why it’s so important to listen to topics that interest you. You don’t have to remain in front of the computer screen while listening, either. You could certainly have the radio playing in the background while you cook dinner, drive or wash dishes. Keeping it enjoyable is really important if you want to maximize your online English radio learning experience. After some time you’ll find yourself understanding the whole show, which is one of the greatest rewards!